Darcy By Any Other Name was the best surprise I had this year when it comes to reading. I didn’t know the author and the premise led me to believe this would be a funny easy read perfect for the summer time. But the book is much, much more than that and it turned out to be one of my favorite books this year! Laura Hile drove away from canon and created the most humorous variation possible! What if Mr. Darcy and Mr. Collins swapped bodies after getting hit by a lightning? How would each of these man react when placed in the others shoes? What about the people around them? How would they view each man if their actions were different from what was expected? When waking up in Mr. Collins body, Mr. Darcy learns a valuable lesson: humility. But that is not all he learns in this book as we go from a diverting humorous story to a romantic subplot and an adventure which will keep us holding our breaths until the end. Mr. Darcy is forced to see how other people’s lives are, and not just Mr. Collins, but also the servants life. He is forced to see how his life was easy compared to others, and how privileged he was for being born in such a situation in life. This new perspective starts to change him and the way he acts towards others but always remaining faithful to his old self. The greatest surprise for me in Darcy by Any Other Name was the romance. This book made me laugh from the beginning until the end, but it was not just humorous! It becomes romantic and passionate with Mr. Darcy being everything he should be: intelligent, honorable, romantic yet guarded, fervent, flirtatious but firm and strong in his ideals and convictions. The first kiss we see between Mr. Darcy and Elizabeth is so perfect that I could not put the book down after that. I stayed up reading until 4h in the morning and I just wanted more and more! But if you’re used to reading my reviews, you know there is something that always makes me completely and utterly in love with a book, and that is angst! Now, I would never believe this book had so much angst but it is full of it. So much that it made my heart ache to the point I wanted to tear it out! Well, that or kill Mr. Collins and get over with it, because along with the angst, comes the hate for Mr. Collins. What a lying coward that man turned out to be! I just wanted Darcy back to his own body, happy with Elizabeth by his side and Collins long gone, but of course that would take all the fun of the book, so my only choice was to avidly read every single page to finally reached the HEA. But don’t be put down if you’re not so much into angst as I am because you will have a lot of romantic moments, in fact, the complicity and intimacy Mr. Darcy and Elizabeth share is so beautiful that we can feel true love blossoming I their hearts. I love books that allow me to see the love between these two characters grow and that is precisely what happens in Darcy By Any Other Name. I loved this book from the first page to the last and no matter how much I praise it, I don’t think it will be revealing of how much joy it gave me to read it. I obviously recommend this to anyone in need of a beautiful love story between Darcy and Elizabeth. Ebenezer Scrooge had it Easy! The life of the fictional hero is fraught with difficulty. Let me tell you, I know all about it. How we suffer at the hands of writers! Truly, I do not understand women. We men find no joy in seeing them thwarted in love. No, men relish the thrill of the chase–a literal chase, such as horses racing or devious espionage with gunshots. For us a gripping tale involves the conflict of sport or hard-won victories on the battlefield (or the trout stream). And at the end of a successful endeavor, a kiss from the beloved heroine. Writers also enjoy being “inventive,” and this is the most galling of the authorial excuses. I thought Ebenezer Scrooge had it bad when Dickens invented ghosts with which to plague him. Ha! Laura Hile went exponentially beyond that when she made me switch bodies with Collins. You read that right, with Mr. Collins—that podgy, pompous, prosy blighter who can empty a room simply by opening his mouth! Moreover, Hile had me switch places with Collins at the time he was a guest at Longbourn. My bedchamber was three doors away from adorable Elizabeth Bennet’s, for pity’s sake! Woo Elizabeth? Forget that! As Collins I hadn’t a chance. For two hundred years women have been shuddering at Collins’ courtship techniques. The man puts the “ick” in “romantic”! Poor Scrooge had to look on as he was shown Christmases past, present, and future, but I had a harder road. I had to endure Collins’ foolish past decisions, walk through his reprehensible present, and look forward to his baleful future. Even worse, I had to watch Collins attempt to fill my shoes—as Fitzwilliam Darcy. It was beyond galling—and once I stopped laughing, I took Hile sternly to task. She gave me a pitying look and kept writing. Confound the woman, she even had Collins (as me) propose to Elizabeth! This bit of information is, I believe, called a spoiler. You’ll have to read the book to see how that turned out—but not while you’re swallowing hot coffee, I beg you. Hile went on to sweeten the pot. She promised me that I could kiss Elizabeth (or at least give it a go), and this stunner caused me to reconsider. After all, I would never have the chance to kiss her as myself, not at that point in Pride and Prejudice. And then Hile told me I would be crossing swords with my Aunt Catherine, giving a set-down to Caroline Bingley, and rearranging George Wickham’s face. Yes, blood would be involved. Yes, Wickham would scream like a girl. Oho! My response was instantly transformed from tacit cooperation (“Oh, very well”) to heartfelt enthusiasm (“Tally-ho!”). Give this book a go. You won’t be disappointed. This excerpt took me back to the pleasurable moments I spent reading Darcy By Any Other Name! This Darcy is just irresistible, but now it’s giveaway time!!! 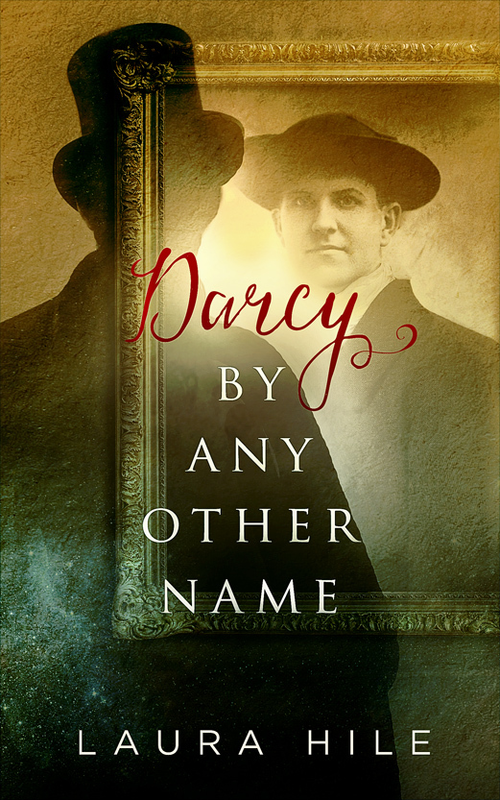 Laura Hile would like to offer one of my readers an e-book copy of Darcy By Any Other Name, all you have to do is comment this post and share with us your thoughts on this story. The giveaway is international and is open until the 10th of September. Excellent review, Rita–I thoroughly enjoyed this book for many of the same reasons. And what a hilarious guest post from FD. So relieved I wasn’t drinking hot coffee. Your comedic talent, Laura, is an absolute delight! Renee, I wish I wrote faster! 🙂 Hey, even though you own the book, you’re in for the giveaway. If you win, I will gladly send your prize to a friend of your choosing. How’s that? 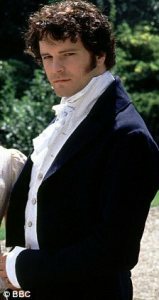 Collins-as-Darcy is rather more needy and accessible than the real Mr. Darcy, a bonus for the ambitious Miss Bingley. Darcy has much to worry about where she is concerned. Thanks for entering the giveaway, Patricia. Good luck! Oh Rita I really hope I win this. I keep looking at it and have it on my wish list but then I think can I stand my handsome Darcy in Mr Collins’ body? Well I wasn’t sure but the thought of all the baddies getting their comeuppance has swayed me I think plus the promised passion between Darcy and his Elizabeth. So I have now decided that I really must read this. Thanks for the review and the giveaway. Glynis, your dilemma defines the challenge of this body swap, and I tell you what, it means that I had to be on my toes as a writer. Basically, I must make you, the reader, fall in love with Darcy right along with Elizabeth. It’s a tall order. She must love him not for looks or money or social position, but just because of his irresistible self. I had to show that on the page, in scene after scene. In real life, isn’t this is how love works? It’s odd, but an ordinary man becomes so much more attractive once we discover how delightful he is. The shared smiles, the witty asides, the understanding of kindred hearts — and the fact that he is dependable, always there for us in a crisis — are almost impossible to resist. These are the men we marry. Thanks for stopping by to enter the giveaway. Such an enthusiastic review!!! What can one do but plunge straight ahead and read it! I love the premise of this book-poor Darcy trapped in Collin’s body-I can just imagine how humbled he became at learning of the simple and indeed harsh and difficult lives others below him socially lead. Am looking forward to reading of the strange interactions that must lie ahead between D and E…….! No need to include me in the giveaway as I have have this book !! Best of luck with this book,Laura! Oh that is fun that you got so engaged with the story that you wanted to do bodily harm to Mr. Collins, Rita. 🙂 I love seeing that in a review (the excitement not necessarily the other). What a hoot, Laura! But I think you might have the right of it if fictional characters could respond to their makers. Right, Sophia Rose? Poor Darcy, stuck as a man from whom women flee. Collins walks in, and the responses are as if he were a cockroach! Great review and guest post by Darcy! This is definitely a book I want to read! Such a unique premise and I love angst! I wonder when he has his kiss with Elizabeth if he’s himself or he is in Collins’ body.. ewk! Does Collins kiss her when he’s in Darcy’s body? Or does Collins kiss her when he’s in his own body? So many possible ewk! moments with this premise. Thanks for entering the giveaway, Dung. Good luck! Ok. So this was on my TBR soon list. There is a strong Collins eeewwwww thing going on but I am quite curious and have loved some of the blog posts. But I must say….I run nearly identical in my opinions to your reviews….and you consider it one of your favorite of the year…. Therefore I need to work this one in! Wonderful review. Thanks for the giveaway. Dear Mr. Collins. I had WAY too much fun writing him! One shouldn’t cackle while typing, but … yeah. Thanks for entering the giveaway, Becky. Oh the torture you must have put our dear Mr. Darcy through Laura. Staying 3 doors away from Elizabeth? Another interesting tidbit that makes me want to read this more. If only one had an unlimited budget for buying books and such. I can relate to the book budget struggle, Amanda. You’ve come to the right place. Good luck with the giveaway! Well, now I am beyond curious! The play with the well-know phrase “a rose by any other name” already had piqued my curiosity…but, Rita! To elicit such a reaction in you, it must be a darn good book! And Mr. Darcy definitely made me even more eager by his comments on his fortunes and misfortunes in this tale – so looking foward to getting my hands on this one! That guest post is hilarious!! I can’t wait to read this book. No need to enter me, as I already have a copy. Glad to see it’s one of your favorites of the year. Hi, Anna! Thanks for stopping by. Happy reading! Rellaenthia, once this story idea occurred to me, I could not leave it alone (I tried, but it would not go!). These men are opposites in almost every way–perfect for this kind of switch–and yet they are interested in the same women! Also, the similarity of their Christian names (Fitzwilliam and William) works in the story’s favor. Thanks for entering the giveaway. Good luck! Thanks for entering, Denise. Good luck with the giveaway! Sounds like a fun read. Well, we know in the body swap that Mr. Collins’s body will be very clean! So will Fitzwilliam’s body take a dive in cleanliness? Will this help to repel others from Fitzwilliam as Collins? Will most certainly read it. I believe it is already in the TBR pile. Now will try to read off of Kindle Unlimited. What a fun idea, swapping bodies. It must really test Elizabeth, to recognise the strong personality and forget about the looks position and such. Would love to read it! The fact that these men are so opposite is what drives the story. You’re right, Elizabeth is beyond perplexed–and when did Mr. Collins become so charming? That she could put aside her initial prejudice speaks volumes about who she is. A fun read … with something to think about too. Good luck with the giveaway! Loved this book. Really so amusing and to see Elizabeth interact with the man – up close and personal…yes it worked. I always see Darcy that way too, Kirsten. Thanks for entering the giveaway! The excerpt which I read was captivating to say the leAst. I can’t wait to read the book in it’s entirety(sp?) the twist of having bodies switched is a clever way of engaging the reader onto a new adventure.. It’s a great plot device which bring an understanding of a characters motivation- how they think as an example. You have the ability to flesh out your characters so well, that we can feel and react to the different situations they are placed in. For example, Mr. Darcy’s level of discomfort. The reader can feel as if they are right there in the thick of the situations. Good job, Laura on a well written book. I’m waiting in anticipation to read this book. The best of luck on your future writings! I’m glad to see this posted after all, Maria. You’re IN. Good luck on the giveaway, and thanks for the kind words of encouragement. I can’t wait to read the rest of this novel! What you have made available to read is perfect to whet the appetite of an avid reader such as myself. I find the switching of bodies of Mr. Darcy and Mr. Collins quite intriguing. It’s interesting to see how each of these men react to the situation they are placed in. Laura has written a novel which seems to capture the very essence of who Mr. Darcy is, especially in relation to Elizabeth. Good job, Laura! I wish you great success in your future writings and am looking forward to reading more of your works. I absolutely love this premise! And that cover! Well done, Laura! Fantastic review, Rita! Jennifer, I’d like to think that my writing sells the book, but nope. It’s that amazing cover and the outrageous premise, a winning combination. 🙂 And the story’s pretty good too. Thanks for entering the giveaway. Thank you for the review. This sounds like a great premise, can’t wait to read. I’m so excited to find out the details within this new book. The blurbs and reviews have just increased my interest more! Thanks, Laura! Obrigada, Rita! Since this review, I’ve had a chance to read it and it has become one of my favorite jaff stories. Highly recommended. Maybe I should reread this one? I will give it another go.